Elevated design aids in healthier digestion and improved comfort leaving your pet happier and more content after their meal! 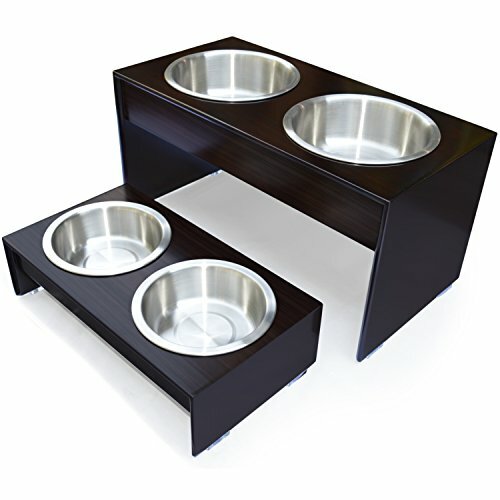 Modern solution made from natural Pine (including stainless steel bowls) fits your style. Anti-slip feet to keep in place and plastic insets to help stabilize bowl. Warm finish specifically designed to resist water absorption and care tips included to help keep looking new.